Trojan L16RE-A 325 AH Deep Cycle Battery Free Delivery most location in the lower 48*. 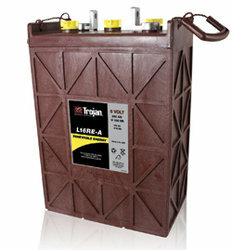 Trojan L16RE-A 325 AH Deep Cycle Battery Free Delivery to many locations in the Northeast. Trojan Storage Battery designed for renewable energy sytems, particularly off-grid.